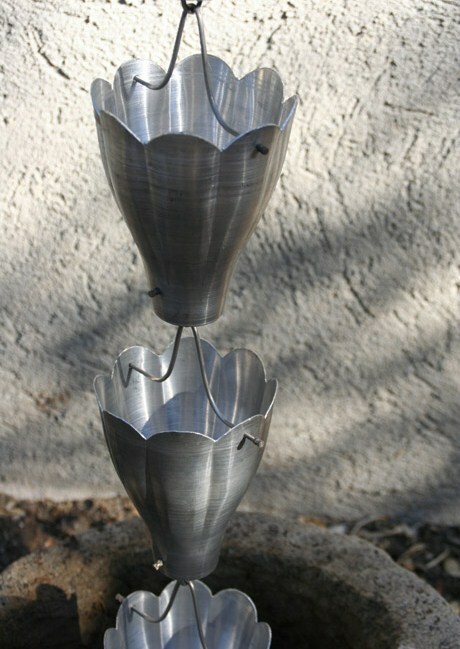 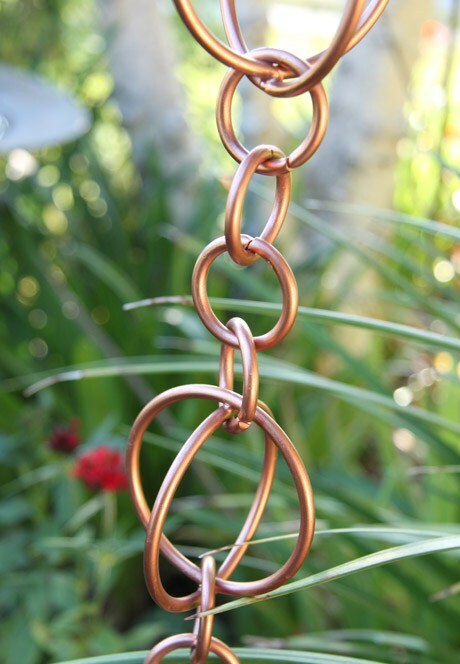 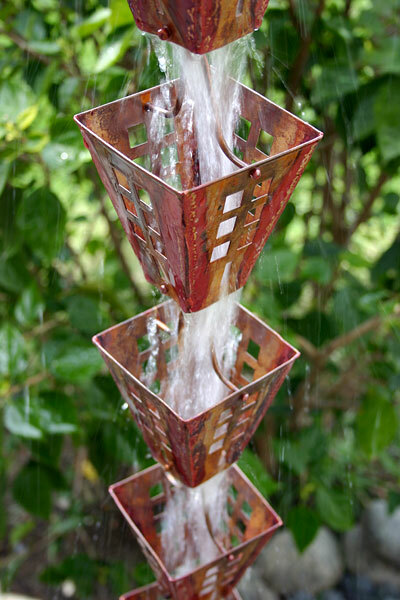 Rain Chains are a beautiful and functional alternative to traditional closed metal or plastic downspouts. 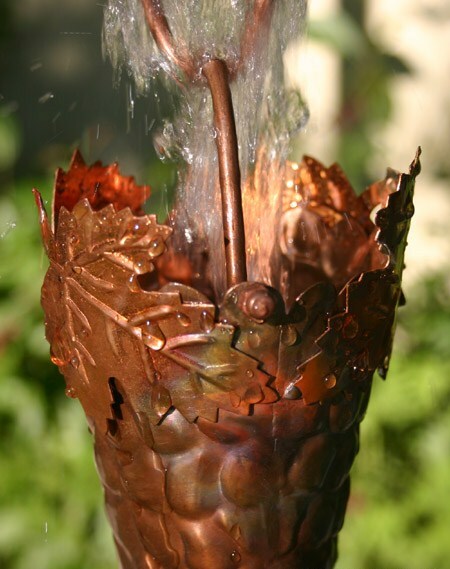 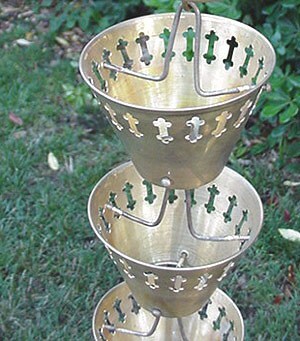 They break the fall of the water, guiding it visibly downward to the ground, into a basin or even a rain barrel for storage. 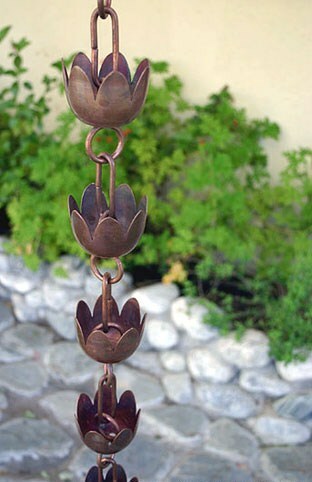 Rain chains sound great!